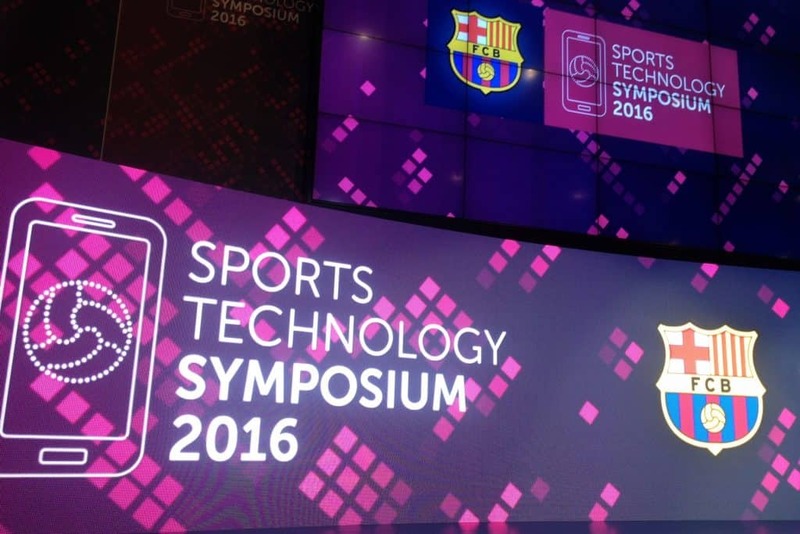 The second edition of the Sports Technology Symposium at FC Barcelona brought together almost 500 people from across the globe. 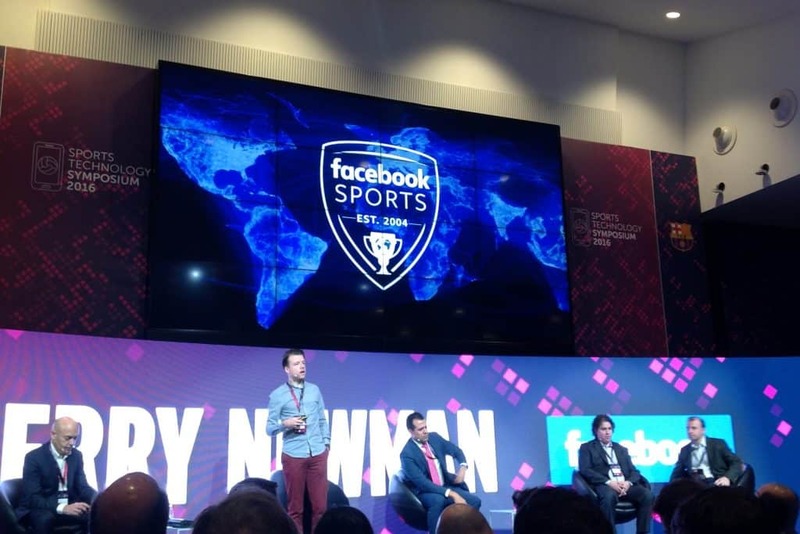 This invitation only event focused mainly on digital innovation within sports. It included speakers from various countries active in different sports (mainly soccer of course, but also basketball, racing, sailing, etc.). The first day´s topics dealt with the areas of Data Analytics, Innovation, Positional and Tactical Data, Performance Tracking Systems, and Data Driven Strategies. 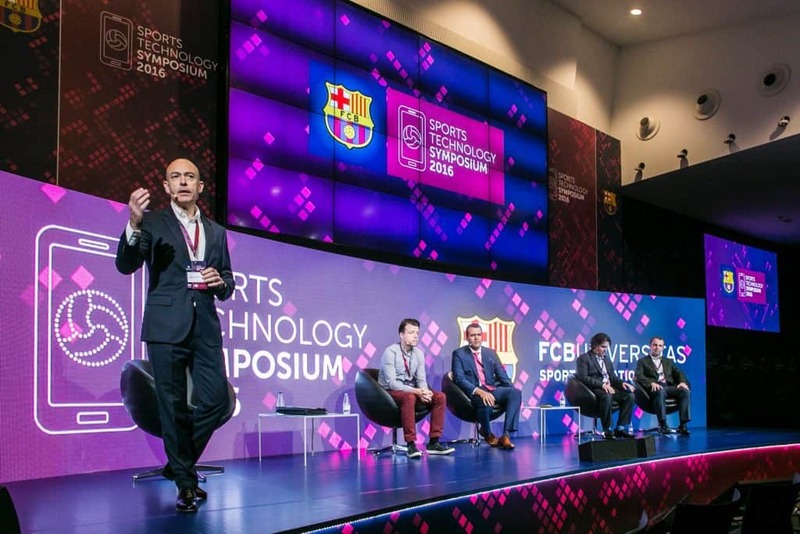 With the Symposium forming part of the FCB Universities Sport Innovation Hub, the opening ceremony was led by Dr. Jordi Monés, the FC Barcelona Board Member and Commissioner of the FCB Universities initiative. The first session on Data Analytics started with a talk by Ruud van Elk of PSV Eindhoven. 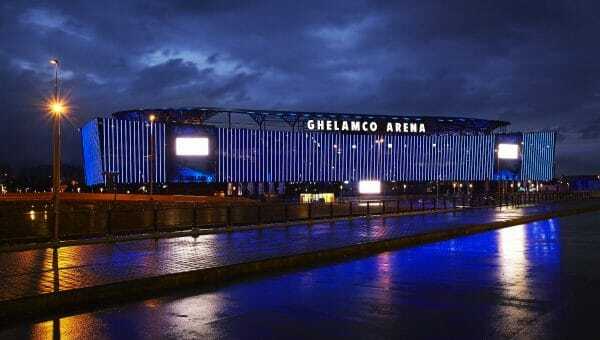 PSV is a club that uses multiple data streams and providers to gather information about tactical, technical, physical, medical and mental parameters. Ruud explained how they gather and analyze all of that information. He also explained how they report the key information back to the (coaching) staff on time. ‘The most important thing in succeeding with analytics is talking the language of the coach. Don´t talk about sprints, but about scoring actions.’, he said. Not surprisingly, using technology also saves the club time and money. Since they are used to work with tracking data, they could skip 4 speed testing sessions a year. 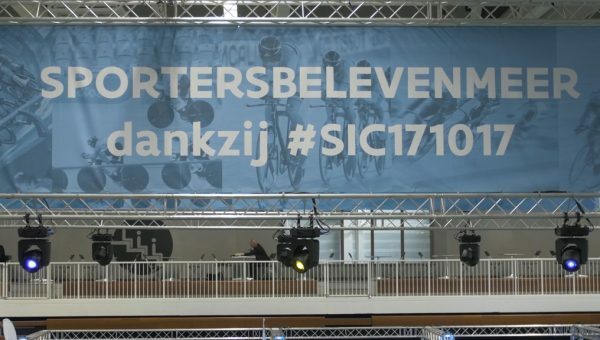 Being in Eindhoven, a hub known for sports and technology, the club not only tries to implement existing tools, it also focuses on innovation. One technology that they are experimenting with for the moment is virtual reality. A Dutch company called Beyond Sports is developing fast in that area of training, with promising results. Second, Nuno Mauricio from Benfica LAB explained why they are developing their own tracking system. The reason is simple. It´s cheaper and they have everything under control themselves. Adjustments in the software can be made quickly and intellectual property is less of an issue. They also recently closed a deal with Microsoft, just as Real Madrid and others already did in the past. The club records all youth training sessions and uses technologies as Datatrax for advanced analysis. According to Mauricio, the key to success is the club´s management. They strive for continuous progress. It´s real teamwork, almost like a family. At this moment in time, they are already preparing for the next season. Benfica also uses a unique technology called 360s Simulator, which is used as an alternative for on-the-field training, increasing fun and gamification, which is very important, e.g. during rehab. Just as PSV, they also focus much on the research and development aspects of the innovation process, with various research studies and scientific papers already published by Benfica LAB’s professionals in collaboration with other institutions. 1/ They moved from a technology to a human-centric approach. They placed the athlete at the heart of every project, not the technology. 2/ They moved from ‘we have all experts in house’ to ‘we partner with the best worldwide’. 3/ They don´t service athletes with solutions, they empower them. Mounir explained in a very practical and clear way how they applied wearables, Internet of Things, artificial intelligence, smart glasses, etc. together with classic technologies as video in order to continuously optimize the training process. With Michael Phelps e.g., they have been monitoring sleep for the last 3 years. Not clear to what extent this resulted in the large amount of medals, but with differences of less than 1% between winning and losing, everything counts. Next, Pablo Ortega showed an innovation in the field of hydration of athletes. 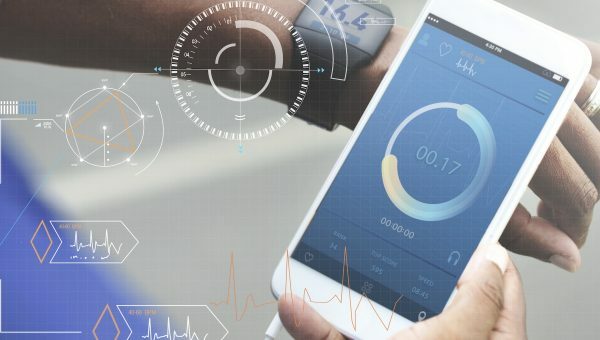 At the Gatorade Sports Science Institute, they developed a system in which athletes wear a patch on their bodies, measuring various variables relevant in nutritional strategies. According to Ortega, the time that athletes ‘just drink some water’ seems over. Personalized drinks are now made available. These provide the right amount, composition and flavors for the individual athlete´s profile. In a presentation by Juan P. Hinestroza, the Director of Cornell University’s Nanotechnology Laboratory, the future role of fabrics in sports was explained. Although many developments are still subject of research, he nicely explained practical applications of textiles in e.g. soccer. Shirts could change colors when a goal is scored or could give a sign in case a foul is being committed because a player grabbed his/her opponent´s shirt, thereafter sending a message to the referee. T-Systems International, Sven Krüger subsequently talked about e-sports. With almost 300 million followers, e-sports has become a massive economic factor, a huge market of potential customers, financially strong, mostly young and well educated. With augmented- and virtual reality technologies, soccer, amongst other sports, will become even more popular all over the world. After a refreshing coffee break, a very hot topic was on the agenda: Positional Data and its Tactical Approach. The session started with Daniel Memmert from ‘Deutsche Sportschule Köln’. Daniel spoke from a scientific point of view about analyzing soccer matches, including key performance indicators, neural networks, etc. which allow for a rapid identification and classification of complex movement interactions. This sessions was highly relevant, given the relation with our own team play analytics project on spatiotemporal analysis. A very valuable suggestion was made by Pablo Manzanet from Villareal FC: a global standard for tracking systems! The reason is that accuracy, reliability and validity differs up to 20% between technologies (GPS, video, indoor positioning, etc.) and between providers. In case analysts, teams, trainers, entrepreneurs, etc. in the sports industry want to take themselves serious, more objectivity is needed. I couldn´t agree more. 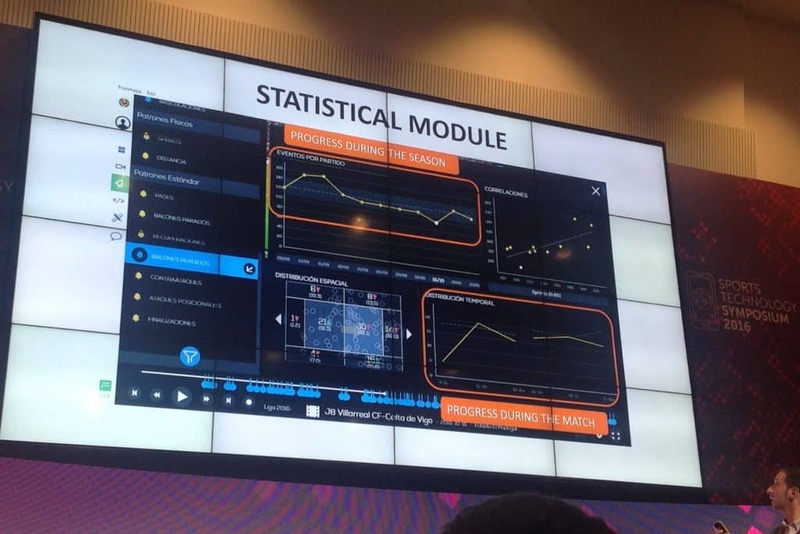 Furthermore, Pablo talked about how they use FootMapp® (a video-edition application based on tracking data) in order to analyze team movement patterns, and translate these insights to the coaching staff. Next was Pedro Marques from Manchester City, another club embracing technology and innovation in order to win games and championships. 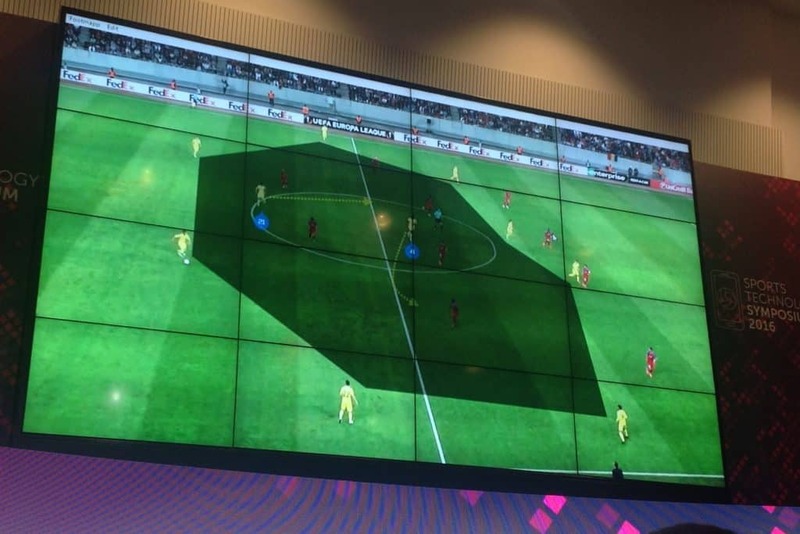 Pedro explained how they combine insights from various technologies as Chyronhego, Tracab, Second Spectrum, STATSports, and others. 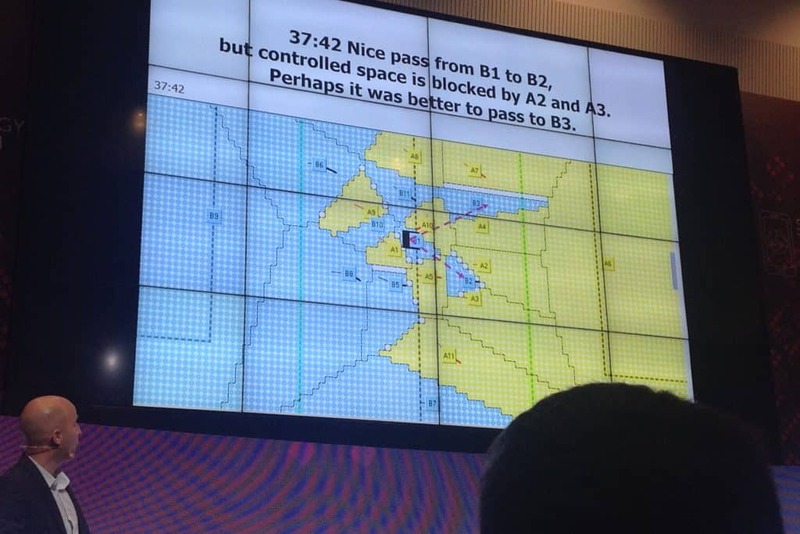 A very cool approach to innovation was their hackathon. The club challenged the community to find solutions for particular problems the club is facing. It brought together a bunch of creative minds, developers, etc. who created prototypes of which some are now being further development. Where did we heard that before? Check out our Hack 4 Sports website for more! After lunch (on Spanish time, meaning 1:45 PM), we continued with a session on Performance Tracking Systems. Darragh Connolly from Juventus FC opened the floor explaining the high variety between different playing positions, first and second half of the game, elite and youth and training and real game situations. These values are now being used by the performance trainers as reference values for trainings schemes, both in healthy as injured players (return-to-play criteria). Ignacio Torreño of ACF Fiorentina then talked about the Optimization Process of the Game Model, again using a variety of available technologies. 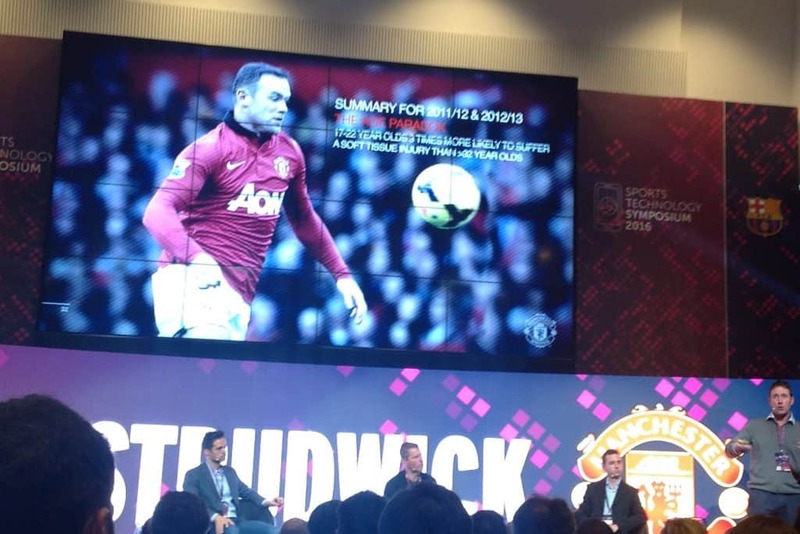 Next was Tony Strudwick from Manchester United, a club our university is also working with. Tony talked about the importance of information in decision making. Given the rise in intensity plays on the field, both training optimization as injury prevention have become more and more important than 10 years ago. To win, everything counts. So therefore, Tony stated: ‘If you can measure it, measure it. If you can control it, control it.’ In order to do so, he is very passionate about collaborating with scientific institutes, universities, PhD students, .. A special and interesting learning for me was the relevance of lab tests in elite sports. Given the trend towards field testing, laboratory tests are becoming more and more important too, he said. However, they should be based on fundamental science and still provide practical advantages relevant for the players. After coffee and networking, the day ended with some more insights in Data Driven Strategies in other settings. Irsan Widarto from the Johan Cruyff Institute gave us a look at what he called the possible sport jobs of the future. Which one do you believe will be there in a couple of years? Crowd coach, bio scientist, artificial intelligence expert, augmented and virtual reality director, smart stadium architect, customization engineer, robot trainer? Let him know by filling in his survey. Is you ask me, I believe all of these jobs already exist. The question remains however whether these will become ‘mainstream’. We finished the day with sessions on Circuit de Barcelona – Catalunya (Joan Fontserè), Universal Parks and Resorts (Bill McCorey) and Volvo Ocean Race (Samuel Piñeiro López). In those cases, a more technology driven approach is used, often with life-saving applications! Check out the video below rewrapping the first day of the Symposium, and this is our blog post about the 2nd day.